We had a few little gliltches but thanks to Karen Cooksley and everyone's patience and tenacity - we got through it. One question got by me from Sandy Kemper (because I was so busy typing) but I addressed it later in the day in a separate phone call to Maureen. I am particularly sorry for those whose schedule conflicted. I did submit the questions you sent to Maureen later in the day. I have removed the superfluous comments prior to and after the chat so we could cut the the proverbial "chase." This is the time that I hear comments from people who did not attend because they already know everything there is to know about Maureen. I can only say that they are doing better than I because I talk to her several times a week and have worked with her on the website for over 10 years and I still have questions. This certainly isn't the perfect arena to address those long-time curioisities of our heroine - but's it's way better than anything else available at this time. Thanks again for your enthusiasm and support. 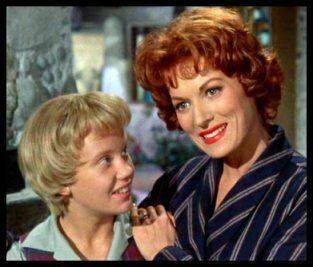 June Beck: Can I have Joan's question again? for your wonderful work in the movies and for being you! contract so we could make the TQM - and thank you for the gradh ma chroidhe. June Beck: Okay - how about you Trevor? send when I call on them. Deborah Cote: Dear Ms. O'Hara! I have worshipped your movies all my life, and think you are the loveliest woman alive! Which movie is your all time favorite, not even counting the movies you were in. But yours are my favorites! but favorites of the world. of so many characters I would love to see you play. send June Beck your ideas and you could help us a lot by telling us what characters you think I should play? make more movies - God Bless you! for the following day. And the word "shoot" is a modern motion picture word - they didn't use it in my day. be your greatest accomplishment, and what 1 thing you would change about the world, if you could. HGWMV? And, once again, you are the MOST beautiful woman alive. do at that young age - I was just 20 years of age and to be able to do that was absolutely wonderful. Deborah Cote: Oh, she did a veteran's job at age 20, all right! Oh, what an actress! it was cut.... and I still wear it short. and profanity on the screen? If so, how would you get around it? what I would have changed. Sandy Kemper: I am not surprised at your answer, Mrs. Blair. I just wanted to hear you say it. day they would have made a sequel? like to keep kicking around until God calls me. radically different from you and become that person. I know that it takes more than memorizing. imitating what you think and who you think that person is or could be but you don't BECOME the character. people can ask questions and can an immediate answer without having to transcribe. Pat Ray: Thanks June and Karen. This was so interesting - and a great priviledge. Joan Nowicki: Bye Maureen, we love you and thanks girls. Sandy Kemper: Thanks a lot, Mrs. Blair and I hope to meet you someday. Trevor Pattenden: Thank you Karen & June for a wonderful experience, I never thought I’d ever get to ask mo a question. Deborah Cote: Thanks so much for the honor of speaking to you, Ms. O'Hara! You've made my year! June Beck: Your questions were great. June Beck: Thanks Karen - we did okay - now we've broken the ice. Maureen is so great to do this. June Beck: It is too bad that we can do it in interview fashion with audio. double-click on their name to send them an instant message. Deborah Cote: Believe it or not, I was on a voice interview like this with Glenn Ford...and it worked great! I wish I knew how to do it. Karen Gilbert: What is your favorite opera and what is your favorite aria? work with director Michael Curtiz who also did some great swashbucklers. MO: There are very few old friends left and even the ones that might be left, I don’t know where they are. Curtiz: He was at a different studio than me so I never had the opportunity to work with him. From Hisako: Any special moments or memories from the time of making The Black Swan? who is a wonderful person and a fine actor and died much too young – he was 28 or 30. From Alison: What movies in the past few years she has liked? Also what books does she like to read? abortion , celibacy of priests, or any other issue that comes to mind. Thanks for your time . MO: I am a Catholic and I follow my religion.